Karanovic & Partners is the 2019 winner of the prestigious Law Firm of the Year award, in the Eastern Europe and the Balkans category. 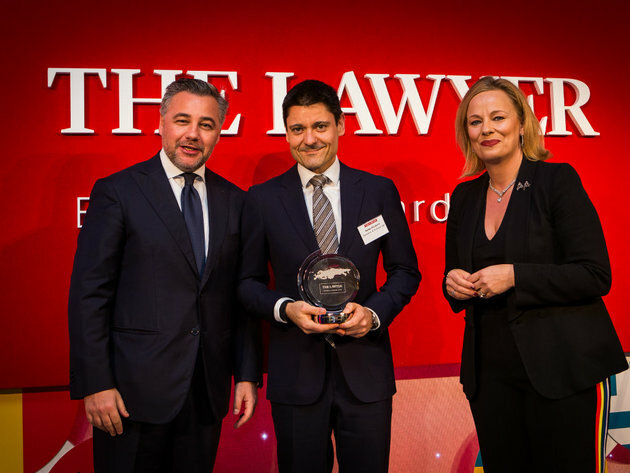 This is the third time that Karanovic & Partners is selected among some of the best law firms in Europe to take home this renowned accolade, awarded by The Lawyer Magazine. – It is truly a privilege to accept this award on behalf of everyone in the firm. It is an honour to be recognized by such an institution, especially in a ceremony to mark the decade of these awards. It comes not only as a recognition of the hard work and dedication put in by everyone in the firm, but also our vision and values. Congratulations to all the winners, as well as the organizers of this amazing event – said Rastko Petaković, the managing partner of Karanovic & Partners, who accepted the trophy at the ceremony.